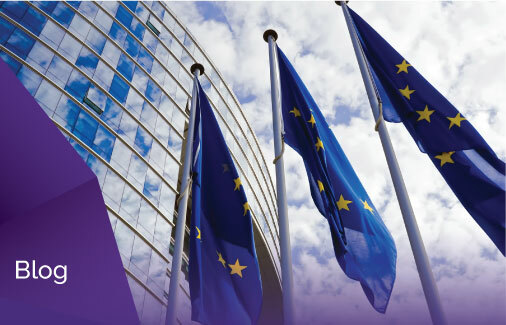 A recent survey completed by Encompass of attendees at the annual R3 SPG Conference gathers insights into how concerned and prepared legal and insolvency firms are for the EU’s impending 4th Money Laundering Directive (AML4). As anticipated, 2016 showed no signs of bucking the trend of increasingly tough regulatory pressures with respect to Anti-Money Laundering (AML). Throughout the year, several high-profile fines and investigations have been levied against organisations across the country. The long-term effects of reputational damage to professional services firms means that Know Your Customer (KYC) procedures and regulatory compliance is a key focus for management. Firms with multi-jurisdictional operations must strive to ensure they can demonstrate a vigorous compliance framework and maintain a clear and auditable trail of compliance on both a local and global level. In our survey, we asked insolvency practitioners and lawyers to rate their concern for AML/CTF on a scale of 1 (not concerned) – 10 (very concerned). The results comprehensively reflect a growing concern with an average answer of 7.5. This is undoubtedly in no small part down to increasingly stringent regulatory pressures and the pending 4th Money Laundering Directive due to come into effect in June 2017. 100% of respondents currently had an AML/CTF policy in place with the fundamental goal of understanding ultimate beneficial ownership, company structure and PEP’s, sanctions and adverse media on their clients. However, 83% of those surveyed conceded to actively reviewing the process they have in place further emphasising the growing concerns firms have for ensuring they are on top of compliance. What was also really interesting was that 78% of those surveyed took more than half an hour in completing CDD on a customer. Clearly, if an individual has a number of new clients to onboard in any week, this will add up to a substantial amount of time. What is also concerning about this stat is that there then remains another 22% who are taking thirty minutes or less. Should this be the case, are they investigating every facet of the customer as they should, or are they indeed, leaving themselves open to sanctions from regulators? In collating and examining this information an insolvency practitioner will spend between 30 minutes to an hour per client. This presents a significant chunk of time spent on Client Onboarding keeping in mind the overwhelming majority of CDD (customer due diligence) is carried out before billing begins. It is very important that regulation doesn’t hamper productivity, firms must find a way to automate and streamline their compliance processes. Proliferating competition and the increasing popularity of fixed fee work create an environment where both firm reputation and excellent client experience are paramount. Quality data is critical in achieving this competitive advantage whilst ensuring the risk of fines and reputational damage posed by the regulator is mitigated. Insolvency practitioners procure data from a wide variety of information providers including Companies House, Creditsafe, The Gazette and Land Registry per the survey. As aforementioned manually gathering this data is time consuming and exposes firms to the risk of oversight and human error in the way internal Know Your Customer (KYC) policies are interpreted. Compliance technologies offer firms peace of mind that a structured and automated policy is in place, thus ensuring there is a clear audit trail of search results which can be cited as evidence of KYC processes having been implemented and followed.